Matawalu will now be available for the Scottish regional club at least until 2021 after being on the second stint with the Warriors. The 29-year-old first joined Glasgow Warriors in 2012 and after being part of them for three seasons he went on to make his debut in the Premiership when he joined Bath Rugby in 2015. He switched to Exeter Chiefs in 2016/17 before rejoining Glasgow Warriors and overall has made 103 appearances for the Scotstoun outfit in which he amassed 38 tries. 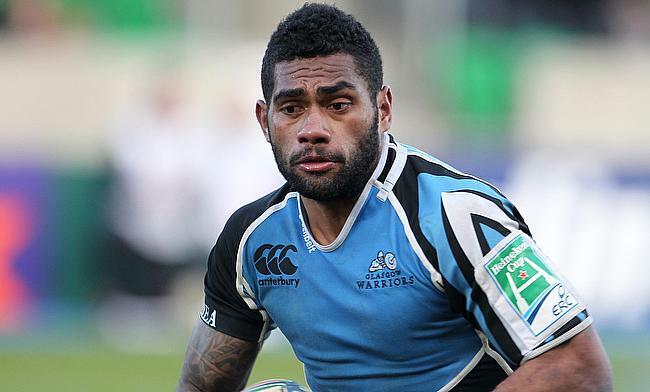 Glasgow head coach Dave Rennie lavished praise on Matawalu and expressed delight on his contract extension. "He's been fantastic," said Rennie. "He's always got the ability to score from anywhere. "He's been really accurate, really clear in his role this year and because of that he's performed at a really high level. "He's constantly in discussions around our starting group. "A lot of our loose forwards do a bit of tackling practice on him and he constantly embarrasses those guys with his footwork. "He's a real handful. He's been playing really well. He's been clinical with ball in hand." Matawalu has featured in 33 Tests for Fiji since his debut in 2010 with his last appearance for the Pacific side coming in November 2017.